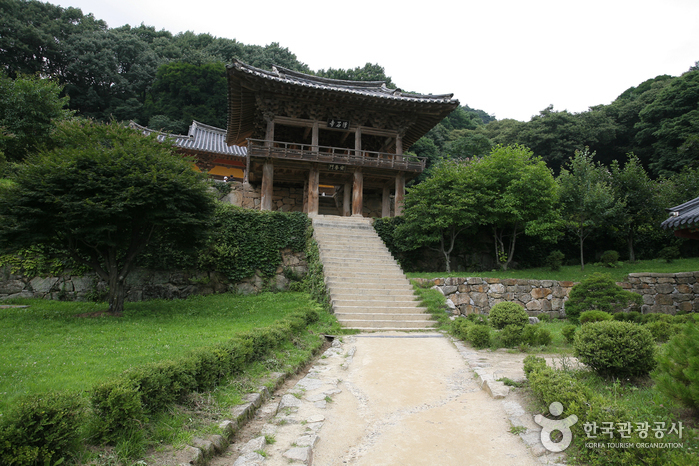 Buseoksa Temple was built in 676, during the reign of King Munmu (661-681) of the Silla Kingdom (57 B.C. - A.D. 935). 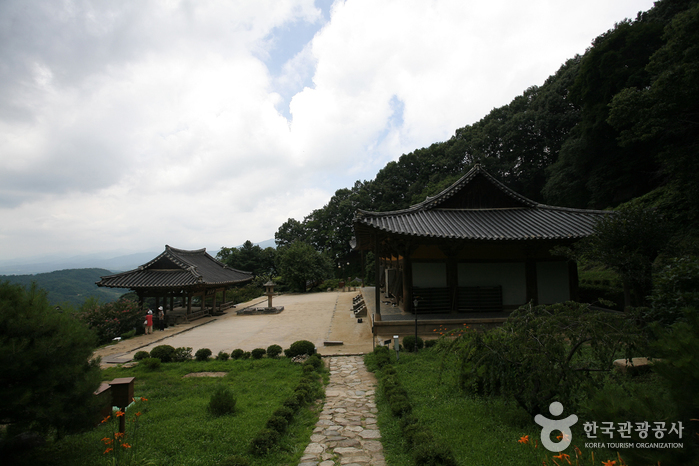 The temple was founded by Great Monk Uisang (625-702) upon orders from the king. 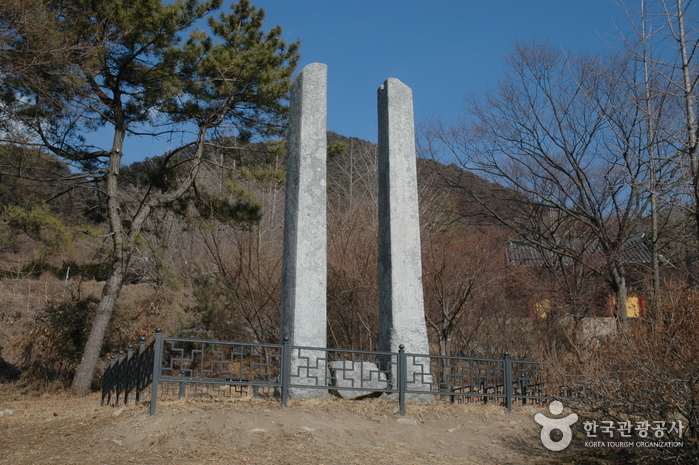 When Uisang was studying in the Dang Dynasty of China, he heard of a plot by the Dang Dynasty to attack Silla. Upon hearing this, he hurried home and passed the message along to the king. 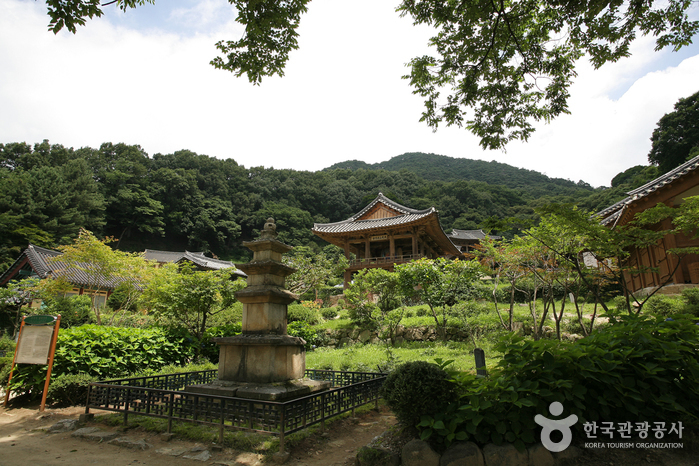 The temple was created to pray for protection of the country. 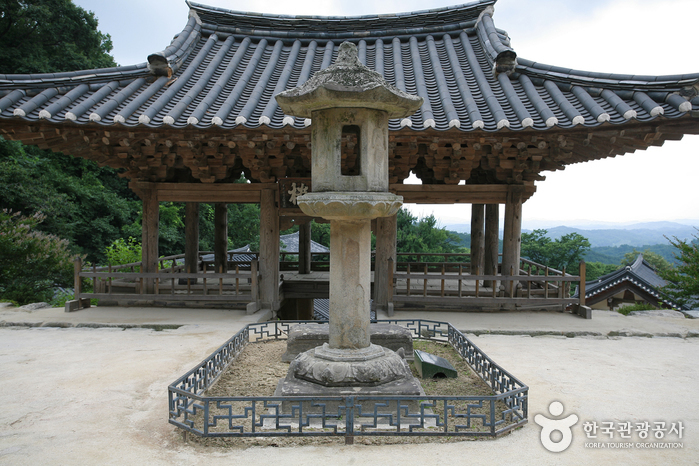 Buseoksa Temple gets its name from a large stone to the west of Buljeon Hall, that appears to be floating rather than supported by the stone beneath it. 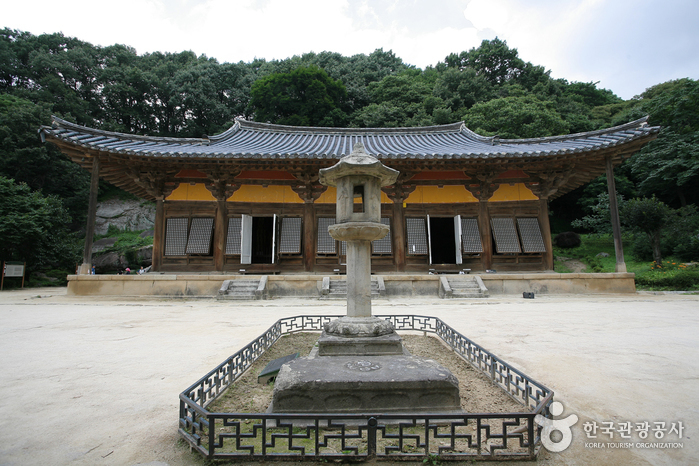 During the Goryeo Dynasty, the temple was referred to Seondalsa Temple or Heunggyosa Temple. 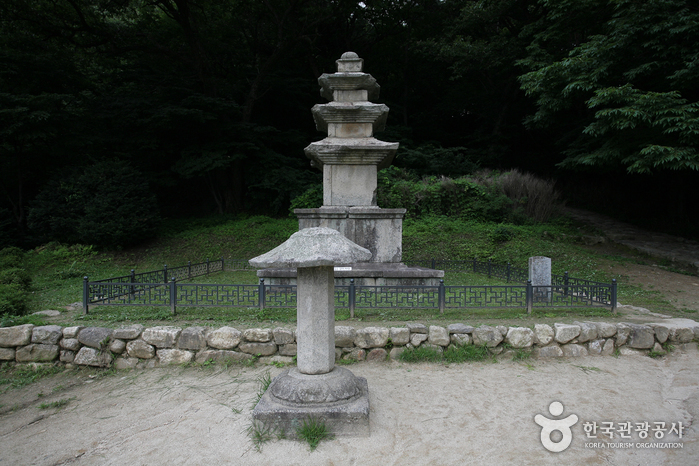 During excavation work in 1916, artifacts were discovered recording history of repair work. 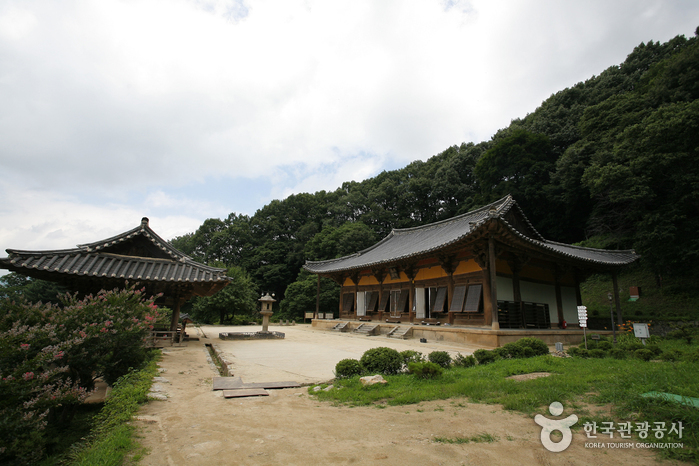 According to these findings, it was learned that Muryangsujeon Hall and other buildings were rebuilt in the early part of the Goryeo Dynasty. 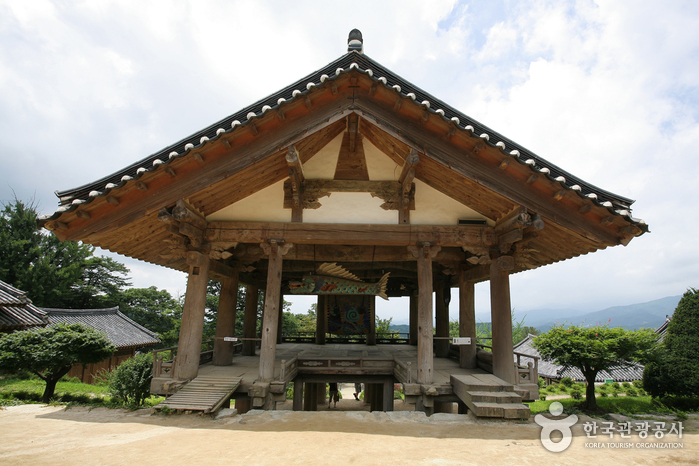 The hall burned down during war in 1358, and was later rebuilt in 1376. 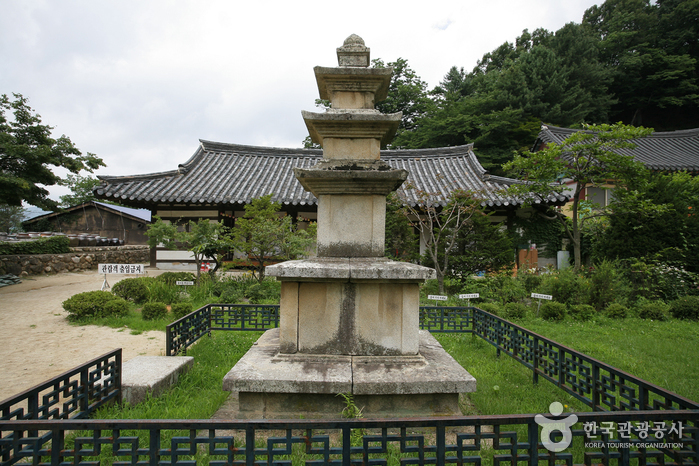 Josadang Shrine was rebuilt in 1377. 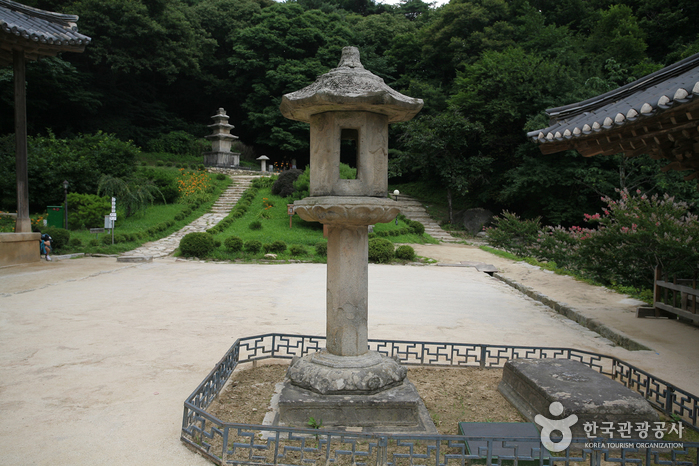 Buseoksa Temple is home to many national treasures, including Stone Lantern at Muryangsujeon Hall of Buseoksa Temple (National Treasure No. 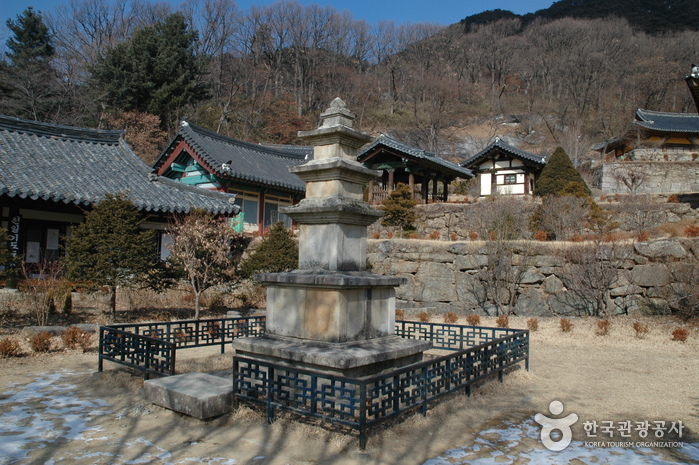 17), Muryangsujeon Hall of Buseoksa Temple (National Treasure No. 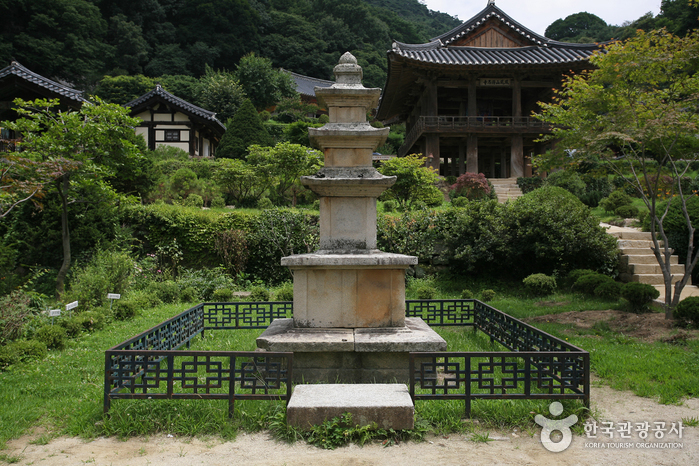 18), Josadang Shrine of Buseoksa Temple (National Treasure No. 19), Clay Seated Buddha of Buseoksa Temple (National Treasure No. 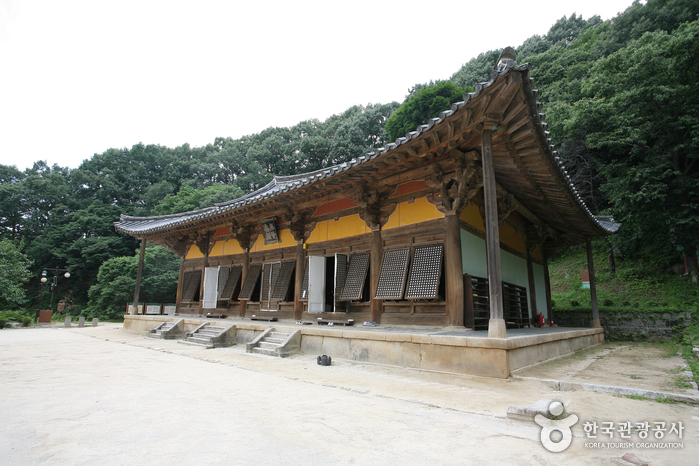 45), Mural Painting in Josadang Shrine of Buseoksa Temple (National Treasure No. 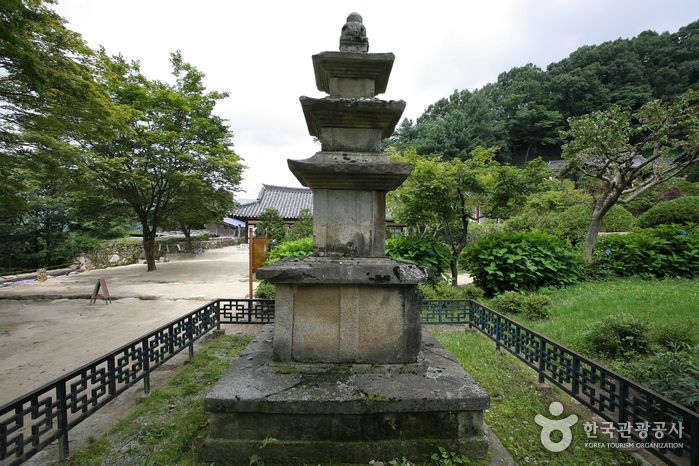 46), Stone Seated Buddhas in Bukji-ri (Treasure No. 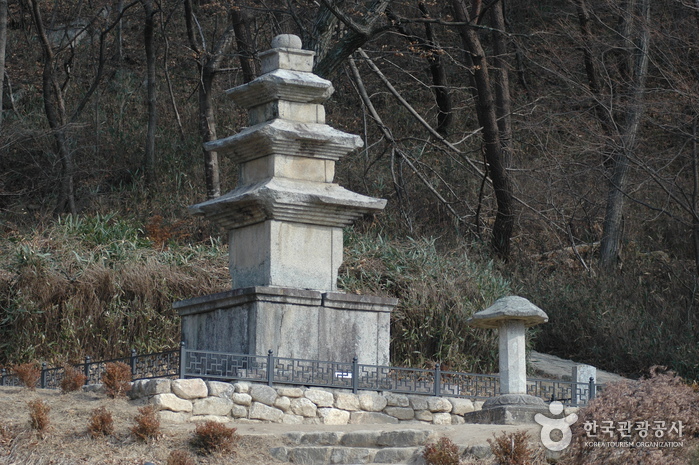 220), Three-story Stone Pagoda of Buseoksa Temple (Treasure No. 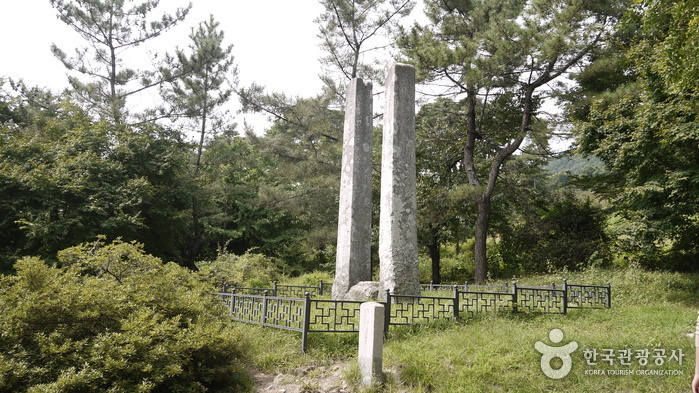 249), Flagpole Supports of Buseoksa Temple (Treasure No. 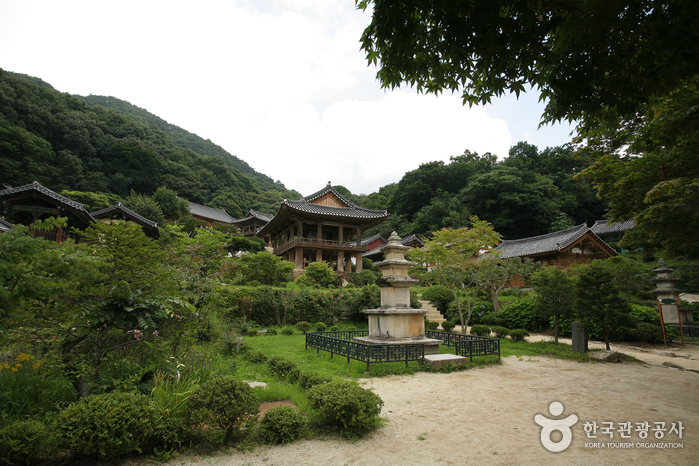 255), Printing Woodblocks of Buddhist Scriptures in Buseoksa Temple (Treasure 735), and more. 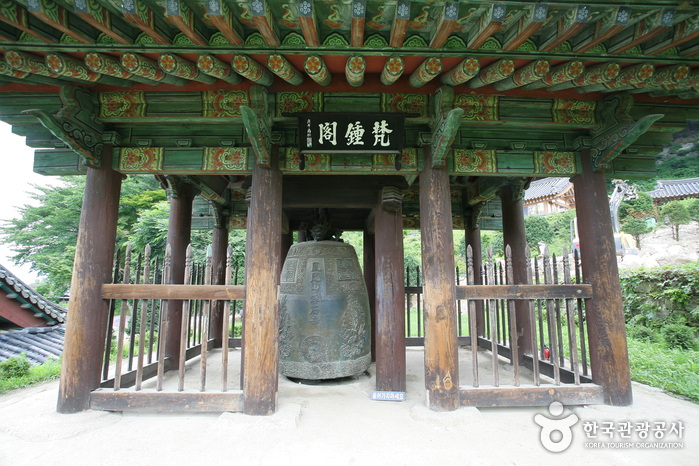 Muryangsajeon Hall in particular is famous, being one of the oldest wooden structures remaining. 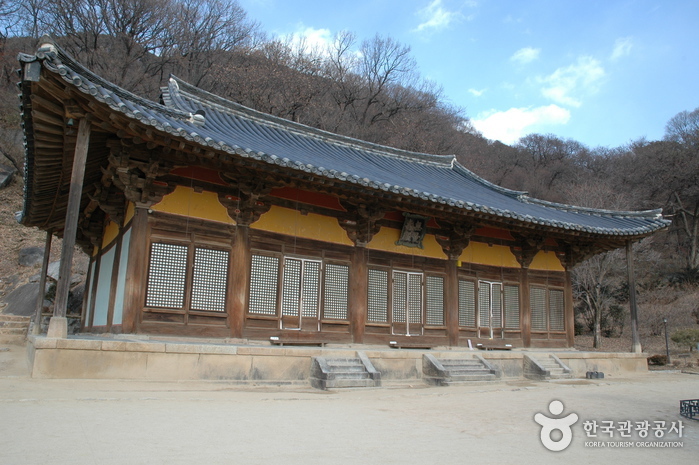 The Mural Painting in Josadang Shrine is also the oldest mural within a wooden structure. 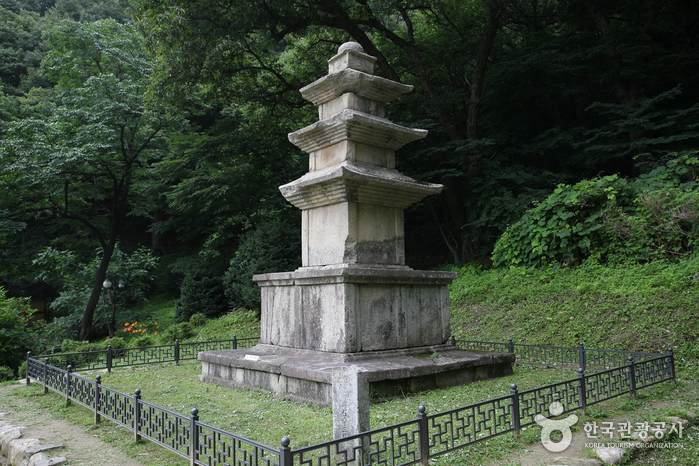 Take a bus from Seoul Express Bus Terminal to Yeongju Bus Terminal. 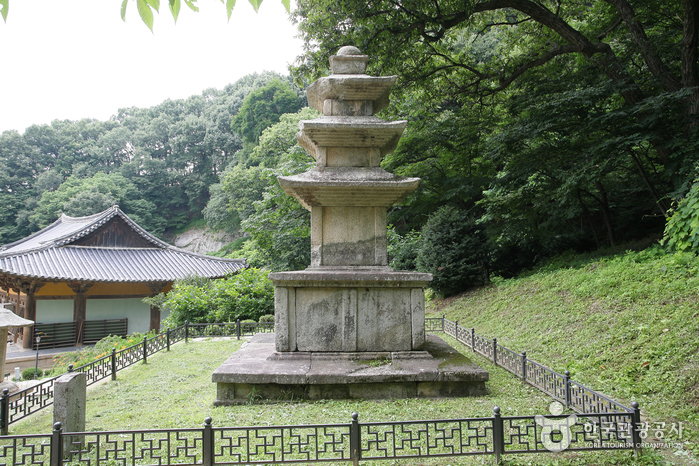 Take a train from Seoul/Yongsan Station to Yeongju Station. 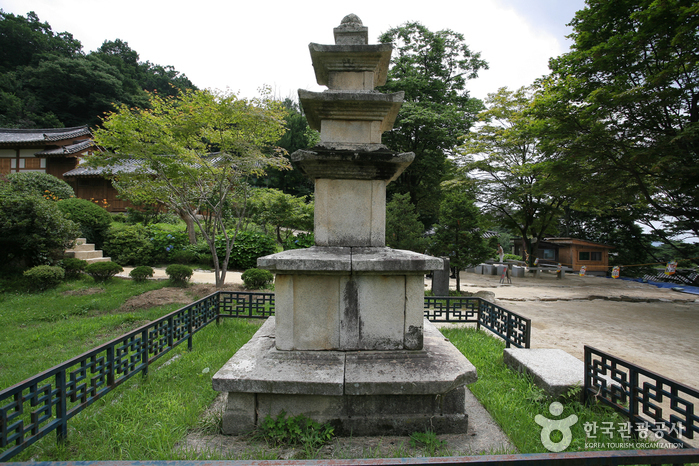 Across from Yeongju Bus Terminal, take Bus No. 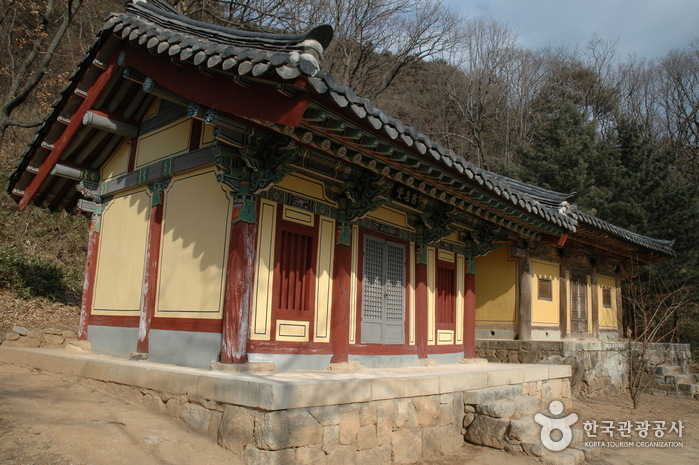 27 to Buseoksa Temple Bus Stop. Approx. 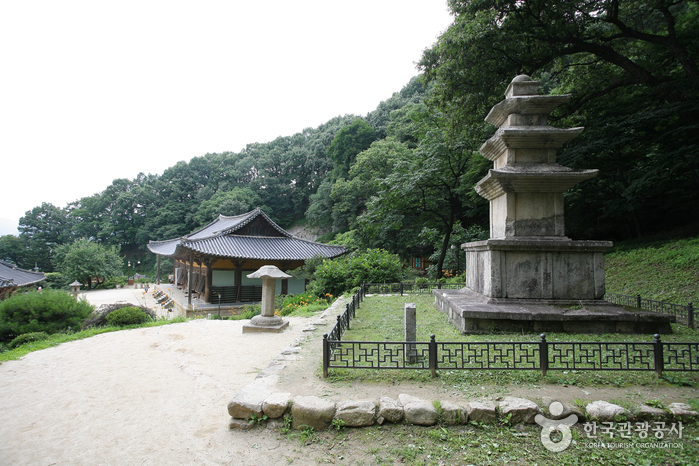 40 min from Yeongju Bus Terminal. Approx. 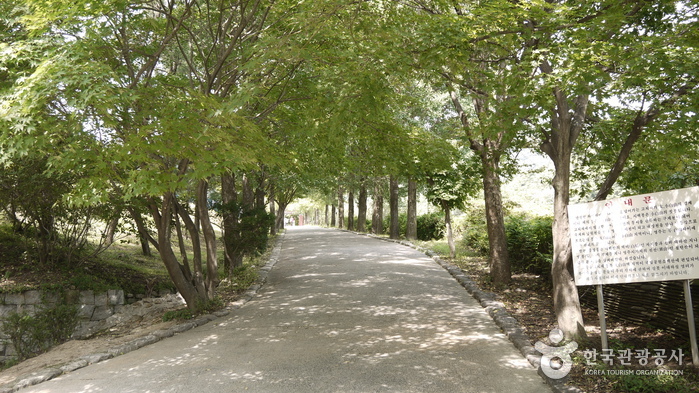 40 min from Youngju Station.